U.K. thrash outfit Solitary is currently in the studio with producer Simon Efemy - noted for his work with Napalm Death, Paradise Lost, Amorphis, Crowbar, and more - working on a third full-length studio album. 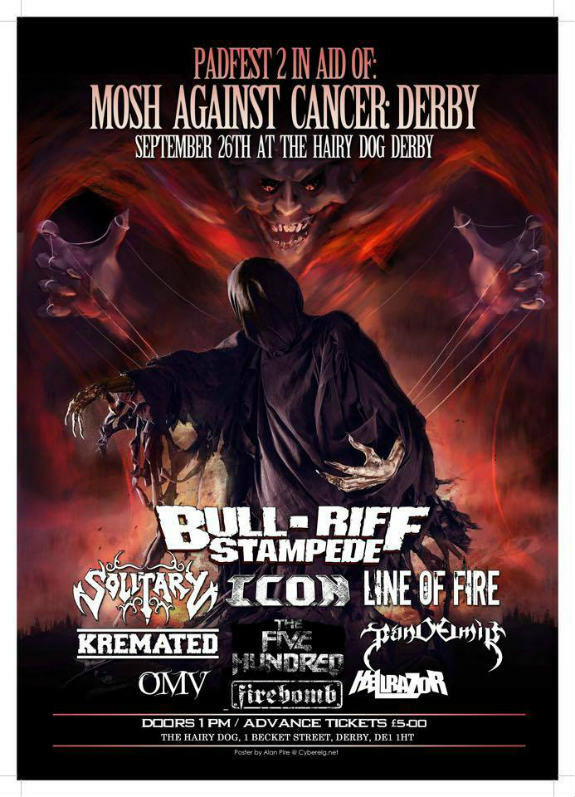 Solitary will also be taking a break from the studio on September 26 to play the Most Against Cancer, which will be taking place at The Hairy Dog in Derby. Solitary will be occupying the special guest slot and playing alongside the likes of Bull-Riff Stampede and I.C.O.N. Get down to the front and treat yourself to some seriously heavy thrash, while doing your bit for charity at the same time. Full details on the show can be found right here. 0 Comments on "Solitary Recording Album, Announces Charity Show"